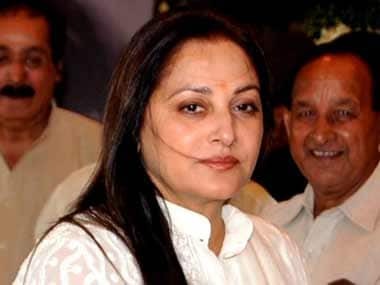 BJP candidate and actor-turned-politician Jaya Prada on Monday strongly responded to Samajwadi Party (SP) leader Azam Khan's "sexist" jibe made against her, asserting that people won't forgive him for making such "disrespectful" comments against women. On Sunday, while railing against his BJP rival Prada in Uttar Pradesh's Rampur constituency, Khan purportedly said, "I brought her (Jaya Prada) to Rampur. You are a witness that I did not allow anyone to touch her body. It took you 17 years to identify her real face, but I got to know in 17 days that she wears khaki underpants." 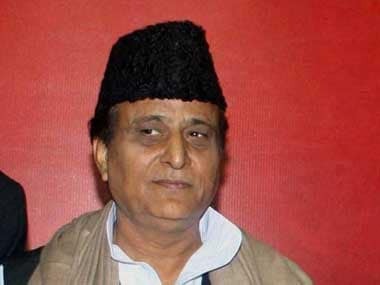 Condemning Khan's remark, the former actor said, "Azam Khan has crossed all limits. People will not forgive him. I vow to defeat him in Lok Sabha election." Taking a jibe at Samajwadi Party (SP) chief Akhilesh Yadav, Prada said: "I treated Akhilesh as my brother. I am surprised that he hasn't responded to Khan's comment as of yet." Further lashing out, the BJP candidate said that Khan had previously also made such remarks when she belonged to the Samajwadi Party. "Amar Singh protected me, for that he was even ousted from the party. Why? How can they be tolerant towards character assassination?" Taking suo motu cognisance of Khan's behaviour, National Commission for Women (NCW) has sent a notice to him over his "underpants" jibe against Prada. The women's rights body has also written to Election Commission (EC), urging to take strict action against him. Earlier on Monday, Khan clarified that he did not make any objectionable remarks against Prada. Khan’s clarification came after he allegedly made a below-the-belt remark against Prada. Asserting that he did not name anyone, the Samajwadi leader said he would withdraw his candidature from the ongoing polls if proven guilty. "I said that people took time to know a real face in reference to a man, who once said he brought 150 rifles with him, and if he sees Azam, he would have shot him dead. My leaders also made a mistake. Now, it has been revealed that he has an RSS pant on his body. Shorts are worn by men," Khan told ANI.